As with many book lovers, I have a book buying problem. I try to relieve it with library loans, but that only solves a small portion of the problem. A large part of my book buying craze stems from the desire to collect- and that desire cannot be extinguished from the library. I love collecting different editions of books. First printings of first editions are fun. 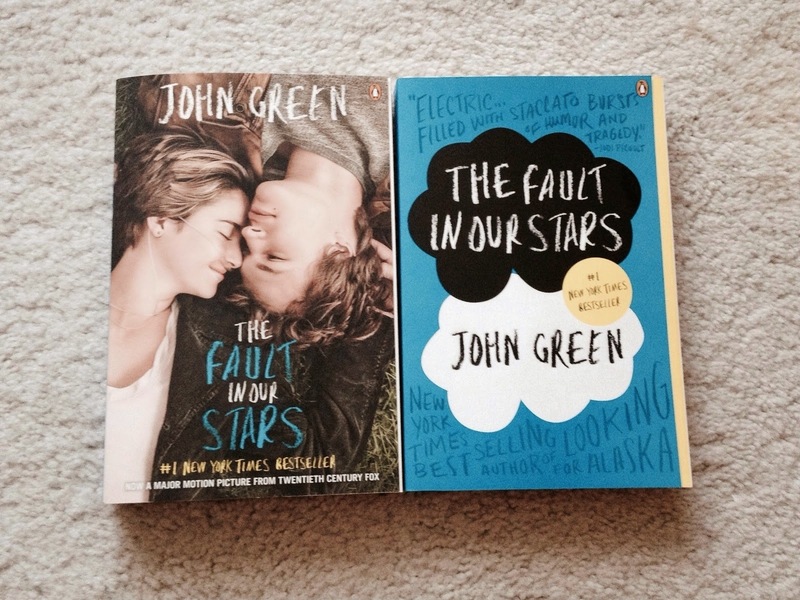 And whenever a publisher decides to change the covers of books? My money goes straight into their pockets. 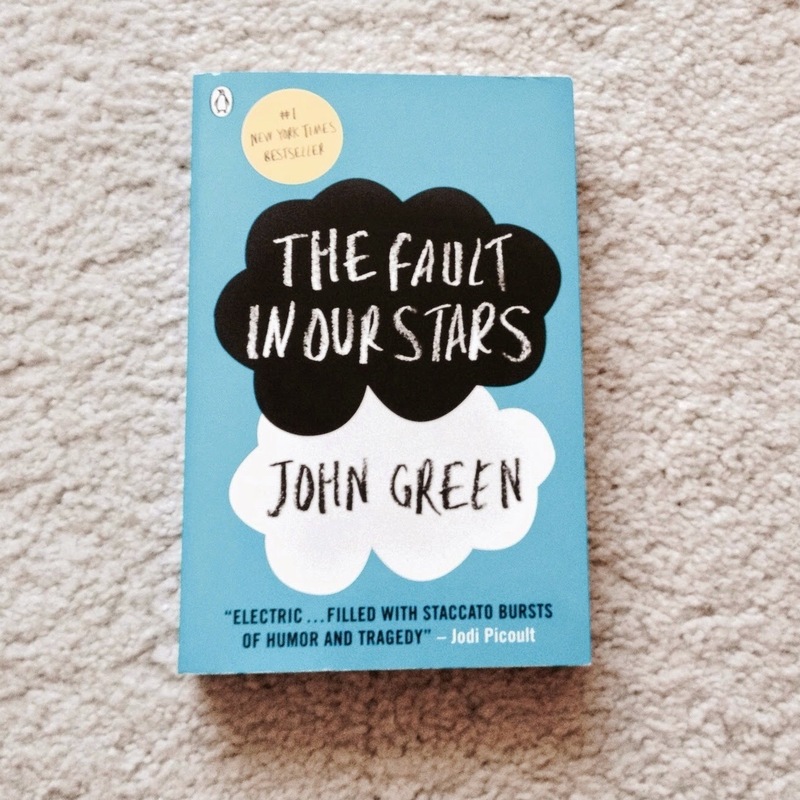 This post in particular, if you can't already tell from the title, will be the start of a new series all about my book collection, starting with my collection of The Fault In Our Stars by John Green. I have been a fan of John's for many years and can't resist the temptation when his books are released in newer, different covers. I will probably do posts involving his other books in the future. I'm going to start with my most recent purchases. 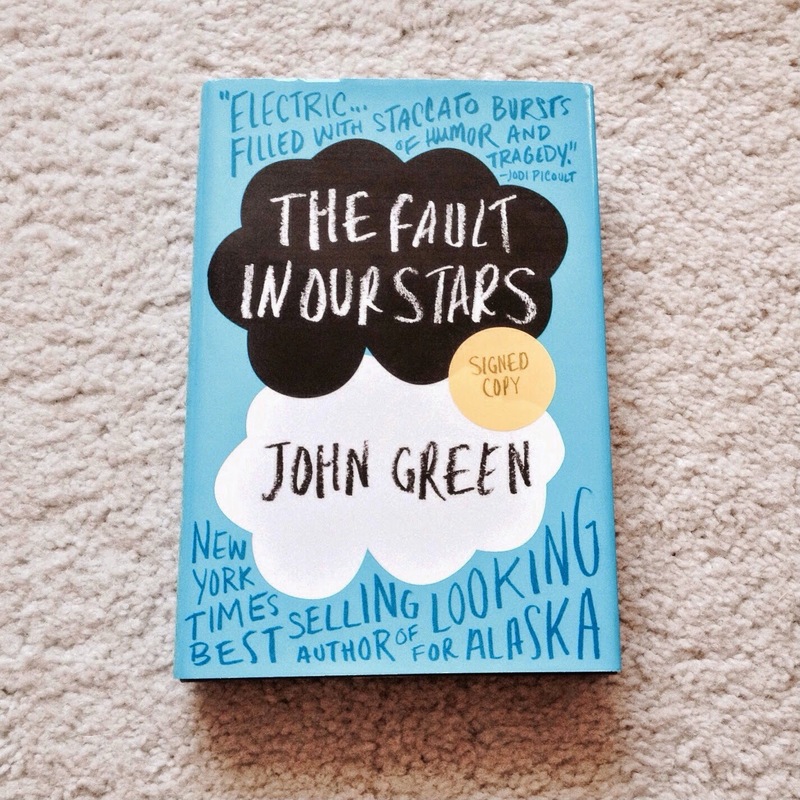 I was inspired to make this post when I was in Target just a few weeks ago and saw the new US paperback version of The Fault In Our Stars. I had already bought the movie tie-in edition when it was released at the same time (April 8th), and had no intention of buying the regular paperback version. But when I stumbled across it my immediate thought was "It's so blue!" 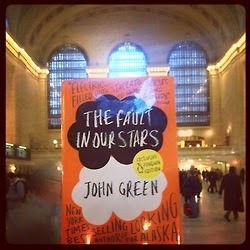 And indeed the US paperback is quite deeper in blue than all the other versions I have seen. Coupled with the matte-textured cover, I knew I had to have it. Now, to any sane person (even book-lovers), I know I sound insane. 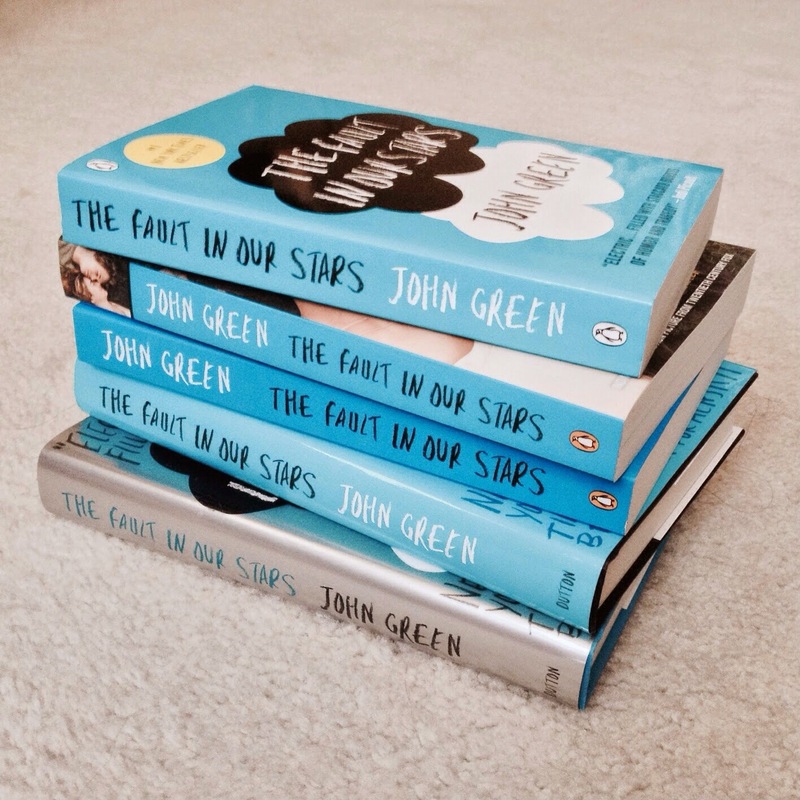 Am I seriously buying multiple copies of TFIOS because they are different shades of blue? Yes and no. Yes, I felt compelled to buy a version I initially had no interest in because it was a different (prettier) shade of blue. But no, because the rest of the impulse came from the fact that I don't already have a US paperback version. 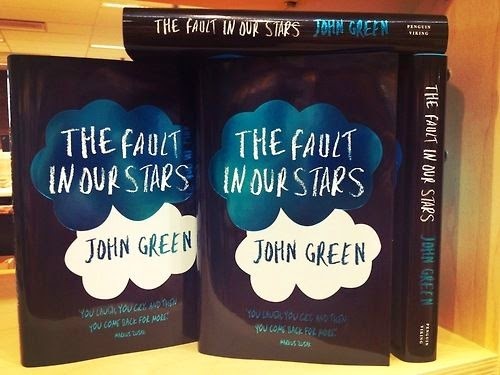 If I stumbled across another TFIOS paperback that was, yet again, a slightly different tone of blue, than no, I would not purchase it. The next book in my collection looks pretty similar to the previously mentioned US paperback version, but it's the UK version. 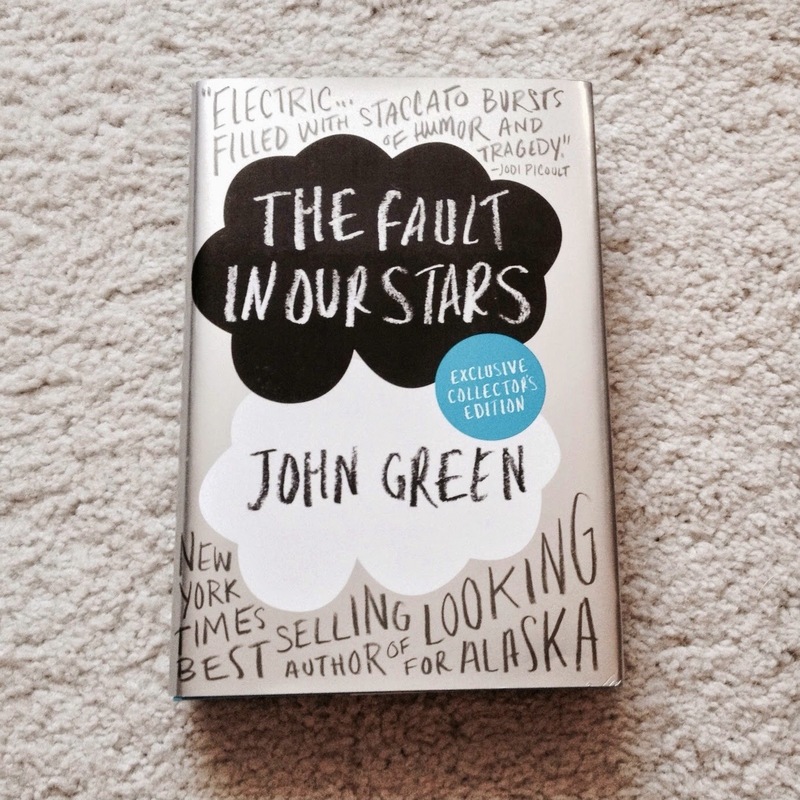 I got this one over a year ago because I was impatient for the release of a US paperback version. It's slightly smaller than the US version and has a glossy (as opposed to matte) finish. The next copy I wanted to mention is the Barnes & Noble exclusive edition that was released around the book's first anniversary. I love the metallic sleeve and did a whole manicure based on this cover. That aside, this copy is not readable. There were printing errors when these came out and the Q&A session with John (that is supposed to come at the end) is randomly inserted in the middle of the book. And the final copy...my first printing, signed copy. There's not much to say about this one other than the fact that it's my obvious favorite. Even though it's a signed copy and should therefore be enshrined in glass casing, it's the copy I have read the most. Although now that I have the newer US ones, I may read those instead to keep copy clean. 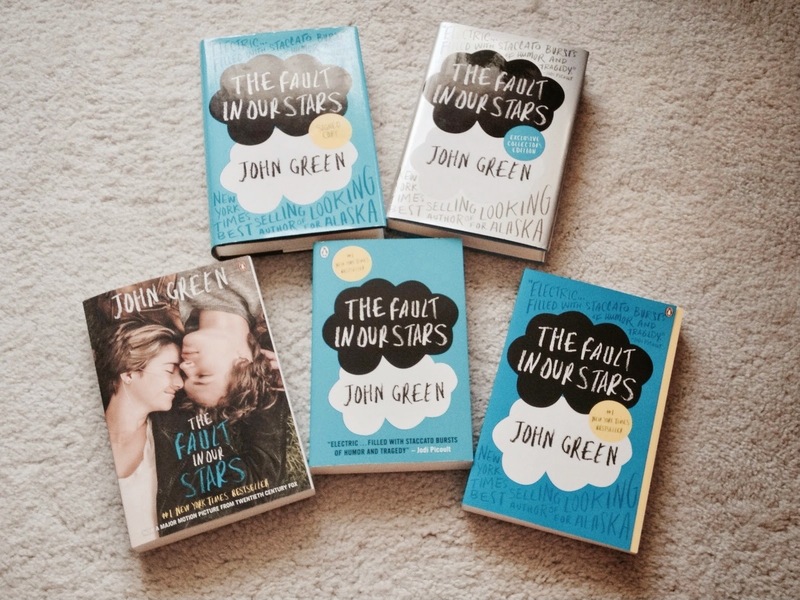 And that ends my collection of The Fault In Our Stars. Here are all of them together! Aren't they beautiful? The black one is absolutely gorgoeous, and I love how the orange one follows the Penguin classics look. Those two editions aside, I'm pretty satisfied with my collection. I'm happy to support John (even though I'm sure he doesn't need it) and fuel my addiction at the same time. If this book cover ever has another makeover, you know I will be buying it too. I think this new series is going to be a lot of fun. Don't you? I totally get your logic, I'm not like this with books but I do have tendencies to want every version of something. Great start to the series!